his voice range is INSANE!!! 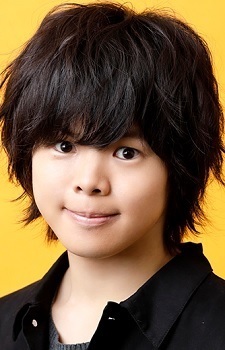 So, this is the guy who will play the role of Iruma-kun? I'll be succinct: Ayumu Murase is one of the big, big reasons I don't watch dubs. @stand I thought so too, but the closer I looked, the more I realized he's just super babyfaced. The older pics look like he's about 16 and 18, but this one is probably closer to 20, even though he does look about 10. I think perhaps his face has filled out a bit, which makes him look younger. what the hell is he actually 10 years old? i always associated his voice with that cheerful hinata tone, my jaw dropped when i found out he voiced ryou from devilman. i thought the story was meh but his voice acting was so good, i pretty much just watched it for him. even his english was really good. i hope we get to hear him voice more dark characters! this song has sung by him!